When I hear about Scandinavia, the first thing that pops up in my mind is Northern Lights - one of the nature's most beautiful and majestic display of natural light in the sky. Such a phenomenon occurs in selected places of this planet and it surely has been in my wish list. So when I and my husband were planning for our summer vacation in 2015, we both agreed for Scandinavia, despite the fact that we would be missing Northern Lights as it occurs only in winters. So recollecting my memories of this unforgettable journey in this post. As my husband was not sure about the food and language, we decided to take a group package from a tour operator for this journey. During that time there were only a few operators in Delhi which were providing Scandinavian tours as people usually preferred popular tourist destinations such as France and Switzerland. After going through a couple of packages, we decided to book a 10 day tour to 4 Scandinavian countries - Denmark, Norway, Sweden and Finland. Our first destination was Denmark - one of the top 3 happiest countries in the world during owing to excellent standard of living and low corruption. On arriving at the Copenhagen International Airport, we directly checked in to our hotel Scandic Sydhavnen. Even though it was summers, there was a cool breeze blowing in the afternoon just like what we feel during Delhi's winters. After having lunch, our first sightseeing point was Tivoli Gardens - an amusement park that offered not only rides, but also featured stage shows, theater, shopping and there is a lake in between the park, making this place suitable for all age groups. We strolled for an hour in this huge park and did have a good time. After exiting the park, we strolled around the city hall and the clock tower for a while and were absorbing the freshness of this beautiful city. There were huge statues around the hall and we managed to get ourselves clicked with some of them. Post that we went to Stroget, the largest shopping street in Copenhagen. The street was full of high end designer boutiques, souvenir shops (I did manage to get some handy postcards) and chain stores. Day 2 - Today we embarked our journey to know about the history of Denmark. After breakfast we went first to Christiansborg Palace which houses the Danish Parliament on one end and the Supreme Court, the PM's office and the Royal Reception rooms on the other. These royal rooms are opened to visitors when the royal family are not using them. We were lucky and got a glimpse of these rooms which were huge in size and beautifully decorated with paintings and art pieces. Nearby was Amalienborg Palace - the winter home of the Danish Royal Family. The change of guard takes place at noon everyday in front of the palace and we managed to get a view of it. Post lunch, we went to a lake where the iconic Little Mermaid statue was based. Made of bronze, this statue is one of the most photographed statues of the world. Sitting on a rock close to the shore, the statue is about 4 feet tall and is regarded as an Emblem of Copenhagen. Now it was time to visit the Carlsberg Brewery to experience the making of the famous Danish Beer. There were guided tours at regular intervals and the tour of the brewery revealed age old traditions of beer making. After the tour one has the option of visiting the Beer Tasting room to try different types of beers. It was a fun and knowledgeable tour that I really enjoyed. Now we headed for dinner before going back to the hotel. 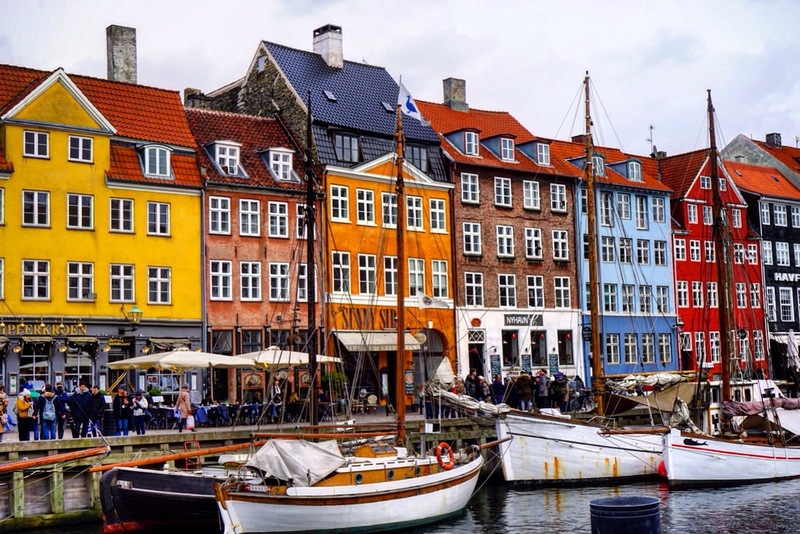 In the evening we went to Nyhavn - the most colourful neighbourhood of Copenhagen, from where we took our guided canal tour. The boat ride passed through old churches, palaces, old stock exchange and new architecture of Denmark. The tour lasted for 45 minutes before returning to Nyhavn. After having dinner at an Indian restaurant, we went back to the hotel. For me Copenhagen is a beautiful city to experience. The city houses plenty of attractions, majority of them within walkable distance and suitable for all age groups. Danish people were very warm and helpful. I really liked that a lot of people travelled to work by Cycling which is good for both health and environment. Today we checked out of Copenhagen and headed to Norway - The land of Midnight Sun. 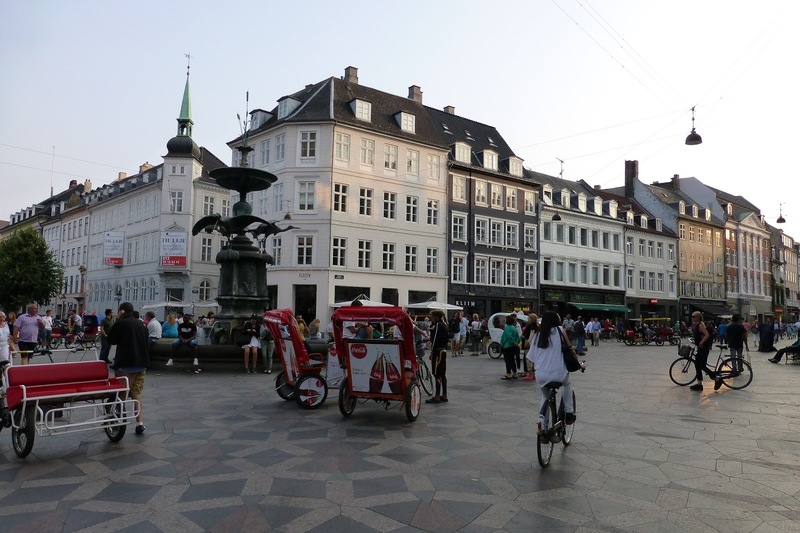 We went first to Bergen on the west coast of Norway by taking a local flight from Copenhagen. Bergen is the second largest city of Norway after Oslo. It is nestled between 7 mountains and several Fjords (a Fjord is a deep and narrow sea with steep land on 3 sides). The Hanseatic Wharf Bryggen - a series of colourful buildings, is the first thing you notice when you arrive in Bergen. With its pastel-colour wooden houses, winding cobblestone streets, Bergen a real place of enchantment and has been included in the UNESCO World Heritage Site. After settling in the hotel and taking a quick lunch, we proceeded straight to take the funicular which took us to Mt. Floyen (one of the seven mountains surrounding Bergen). My husband had never been on a funicular and he really enjoyed the ride. On reaching the top of the mountain we witnessed breathtaking panoramic views of this city. We spend some time strolling around the mountain and also managed to see a giant statue of a Troll (such statues are pretty common in this part of the world). After an hour we came back to explore the City Centre. We spent a couple of hours strolling around different parts of the area and did not feel tired. I think the cool climate made it much easier to walk around this place. Even though Bergen is the second largest city of Norway, it was so different from a commercial city. It was quiet, clean and the entire surrounding was very peaceful. Today our day was fully devoted to the popular 'Norway in a Nutshell' tour starting from Bergen and ending in Oslo. This tour was designed to experience the attractive fjords, waterfalls and mountains. The tour uses a combination of rail, boats and bus to cover this journey. We started with a bus journey to Gudvangen which took about 2 hours. The route was pretty scenic as the bus passed through scenic landscapes, beautiful villages and waterfalls. On reaching Gudvangen, we then proceeded to take a fjord cruise to Naerofjord which is one of the narrowest fjords in Europe and is a UNESCO World Heritage site. The cruise passed through some of the finest fjords of Norway and the 45 minute ride was very scenic. Below image will give you an idea. 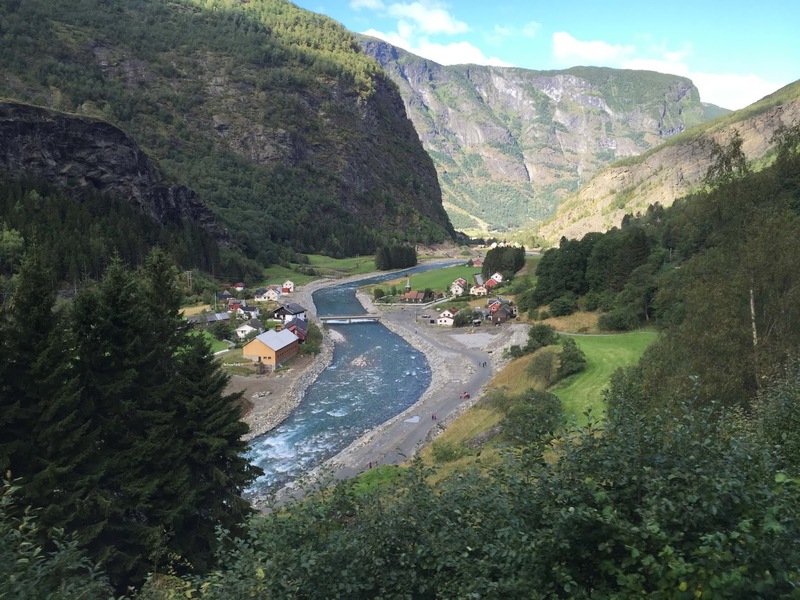 The cruise dropped us at a small town called Flam from where we had to board the Flam Rail - considered one of the most beautiful and steepest railways in the world. There was time for the train to depart so we decided to have our lunch at a local cafe near the station. Post lunch, we boarded the Flam Rail which passed through panoramic mountains, valleys, tiny villages and waterfalls. The train stops at Kjosfossen Waterfall for 5 minutes and we saw a girl dancing on top of a mountain for a couple of minutes. It is an act to entertain tourists which was quite enchanting (make sure you protect your phones and cameras near the waterfall). The 45 minutes train ride was magical and I would recommend everyone to experience it. The train dropped us to Myrdal from where we switched to another train which took us to Oslo. We reached Oslo in the evening where a bus was waiting for us at the station which took us to our hotel Quality Expo. It was a pretty heavy day for both of us. I would recommend to split this tour in 2 days to absorb the scenic beauty we just witnessed at a convenient pace. Today we started our journey with a city tour of Oslo. We first visited the Oslo City Hall and the Opera House. The City Hall houses several administrative councils and municipal organisations. Opera House is a wonderful portrait of architecture close to the harbour. We then proceeded to the Viking Ship Museum where the world's oldest viking ships dated back to the 9th century were preserved. Besides the ships the museum has also preserved several artifacts such as carts, sledges and ornaments. We then headed to the Vigeland Sculpture Park which showcases around 200 sculptures. These sculptures were usually made of granite or bronze. The sculptures are in the naked form in all variety of poses, moods and situations. There is a fountain in the middle surrounded by a spectacular structure of 20 statues. Post lunch we headed to Holmenkollen Ski Museum which had one of the largest ski slope in Europe. We decided to skip the museum part and went straight on top of the tower to get a 360 degree view of Oslo. Just like Bergen, the views from the top were magnificent. After spending an hour at this place, we went back to the city centre and strolled around the local market. Even though it was evening, the daylight was still bright encouraging us to still explore this beautiful city. 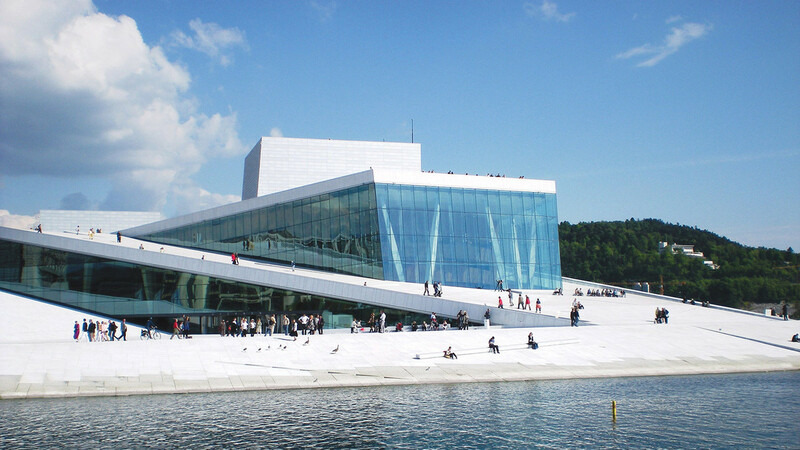 While Bergen gave a feeling of a countryside region, Oslo was more of a commercial hub within a peaceful surrounding and had a charm of its own. Day 6 to 10 would be continued in my next post which includes Sweden and Finland.